Harvard Business School Online offers a unique and highly engaging way to learn vital business concepts. Immerse yourself in real challenges faced by a diverse group of leaders from the likes of NatureSweet, H-E-B, Kerry Logistics, and Mahindra Group. Step into their shoes and wrestle with the same issues they faced, while engaging with fellow learners from around the world. "HBS Online was an invaluable and essential education. The information provided, the quality of presentation, and the high-level engagement among students surpassed my expectations." The platform was engaging, innovative, and allowed me to interact with the material in a way I never expected from an online course. 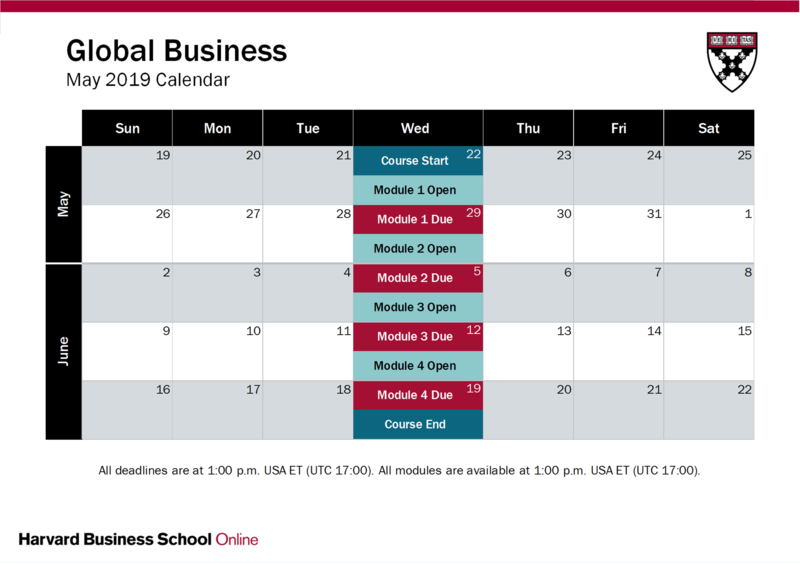 Enroll today in Harvard Business School Online's Global Business course.